Raja Ampat off West Papua is a dream diving location for scuba divers from all over the world. However, this marine paradise is also an area of strong currents, which can be difficult for even the most experienced of divers. 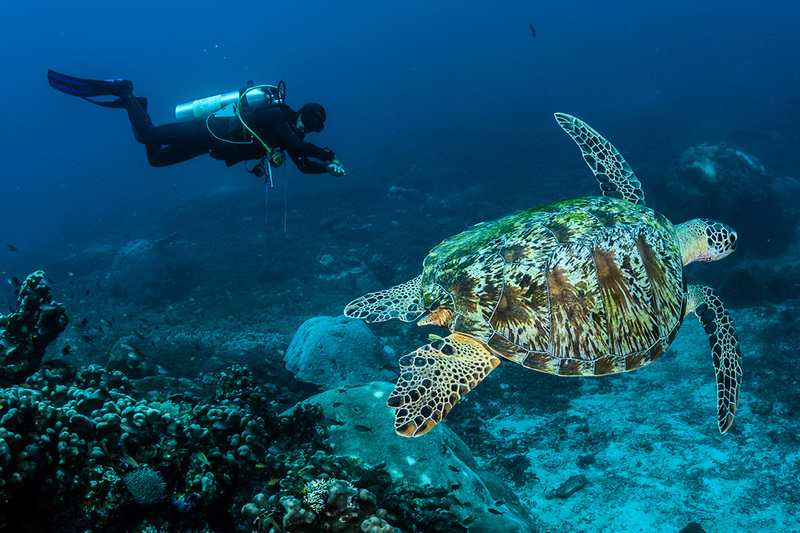 In this article you’ll learn what to watch out for to stay safe in Raja Ampat, the best dive sites for novices, and also if you might need more dives under your belt before you go. 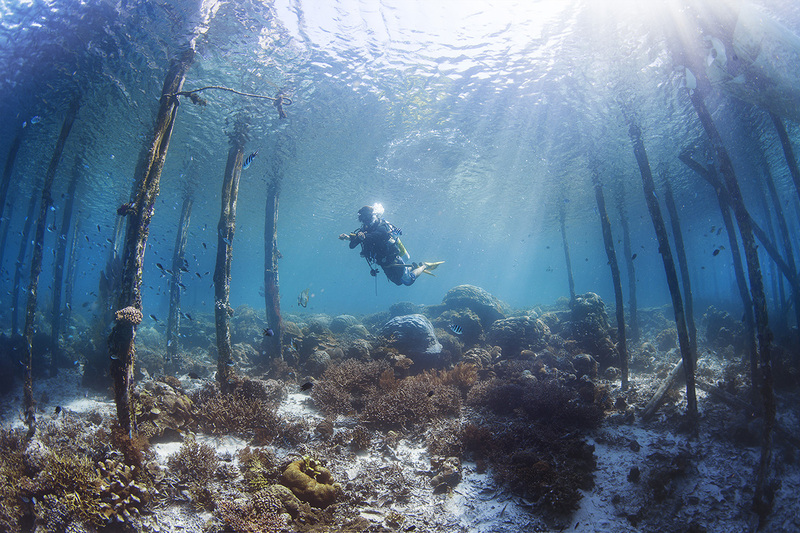 Just to note, it is possible to learn to dive in Raja Ampat but for the purposes of this article a beginner diver is someone with around 20 dives. 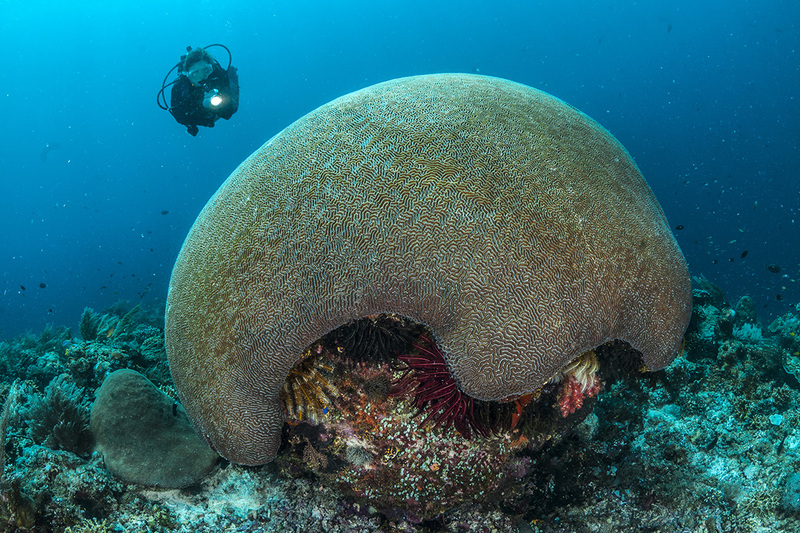 Why is Raja Ampat said to be a difficult place to dive? Raja Ampat is at the intersection of the Indian and Pacific Oceans. The Indonesian Throughflow, where massive amounts of water pass through the islands, creates strong currents that can be hard to negotiate. Of course it’s these currents that also feed the incredible reef systems and make the biodiversity so breathtaking. The currents mean divers must be skillful drift divers, which isn’t usually something beginners are adept at. Down currents can be very strong and for divers that aren’t used to drift diving, very scary. 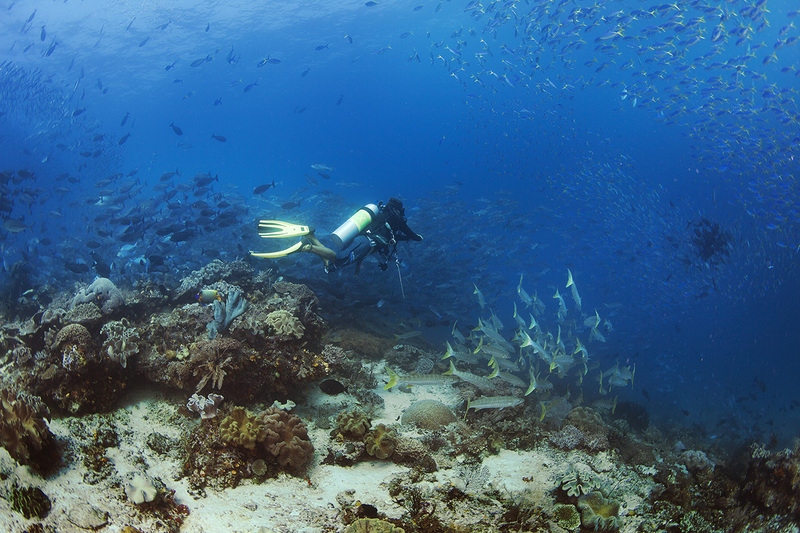 Raja Ampat is also remote and dive sites are generally quite a distance from medical help. The only decompression chamber is in Waisai, over 50km from Papua Paradise Eco Resort. With all this said, it is possible to dive in Raja Ampat if you have a PADI Open Water certification. The dive guides from Gangga Divers at Papua Paradise Eco Resort will assess your skill level before you get in the water. They would never take a diver to a site above their skill or confidence level. Before booking a dive trip to Raja Ampat you should be fully confident with all of your scuba gear. A must is being confident in a controlled descent and ascent. You should also be able to control your buoyancy and manage your air consumption. These may seem like basic skills, but they should be mastered before thinking about diving in Raja Ampat. Often Gangga Divers will start with shallower easier dives to get divers used to the currents when they arrive in Raja Ampat. Some of these starter sites are Mioskun, Manta Sandy, Fansisco’s Peak, Fam Island, and Frewin Island. 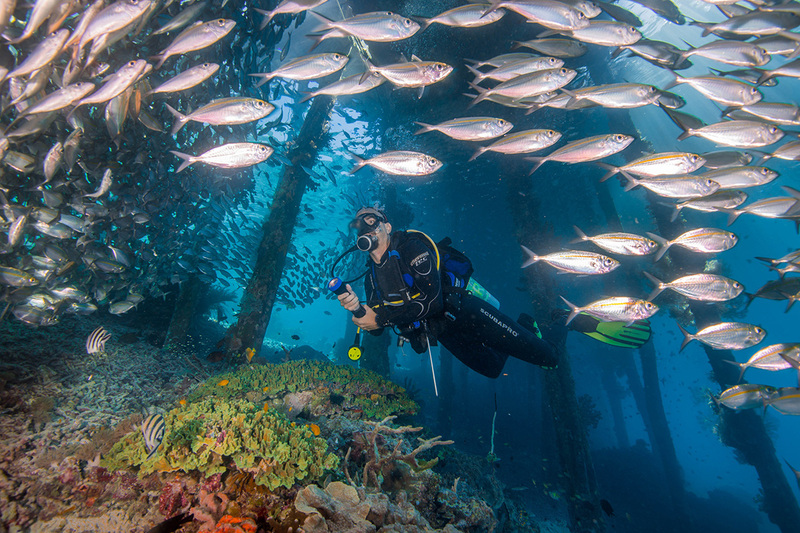 A few of the no-go sites for less experienced divers would be Mike’s Point, Cape Kri, Sardine Reef, and Blue Magic. Are You Ready for Raja Ampat? Raja Ampat is remote and takes some planning to get to, not to mention the cost of a trip. 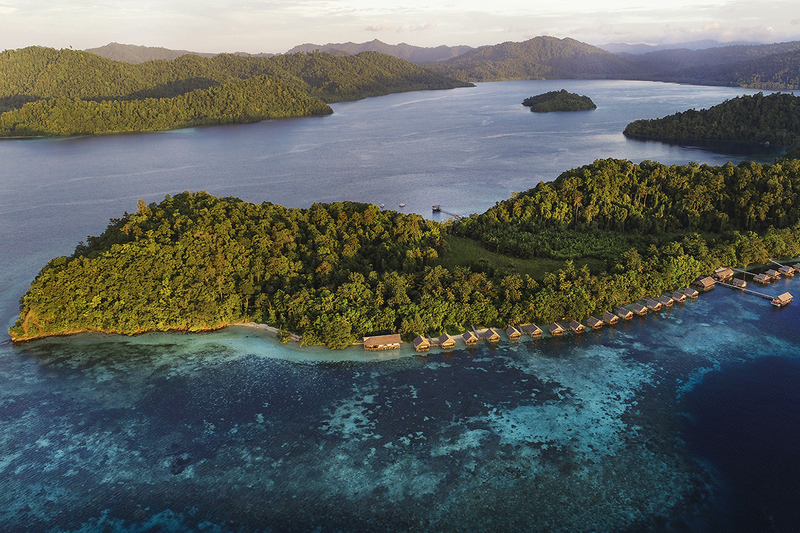 If you feel you might need to get some more dives under your belt before you book a trip to Papua Paradise Eco Resort, you might want to first look at one of Lotus Hotels other resorts. Villa Almarik in Gili Trawangan, Lotus Bungalows in Bali and Gangga Island Resort & Spa all have Gangga Divers centres and offer a wider range of beginner dives. You can also book combination trips for more than one resort, so Raja Ampat could be your second stop in Indonesia. Let us know in the comments below if you’re still unsure whether you’re ready to dive in Raja Ampat or not. We can answer your questions and also give you advice on how non-divers can also have a great time at Papua Paradise.